Kid: "Mom, can I get that new Elsa doll? I really want it, it's so cute and I'll play with it so much!" Parent: "Why don't you put it on your Christmas list?" Kid: "Christmas? It's July, I can't wait that long. I want it now!" Parent: "We can't just buy things whenever we want, just because we want it. You have to decide if it's worth it, and if it is, you need to save for it." Kid: "But I want it RIGHT NOW!" Parent throws hands up and wonders why he/she ever thought having kids was a good idea. *wink, wink. It's not that all kids are all bad and greedy, psychologically-speaking, they start off their lives mostly under the assumption that the world revolves around them. Hence the reason why you have so many meltdowns at Target with your two-year-old. (Or in my case, three-year-old.) But as they get a little, older, like 4 and up, you can start explaining to them how finances work and how THEY are also part of the family's financial fabric. It also teaches them, while they are young, that you aren't just entitled to stuff. You have to work to get what you want. I'm not raising any slackers here! 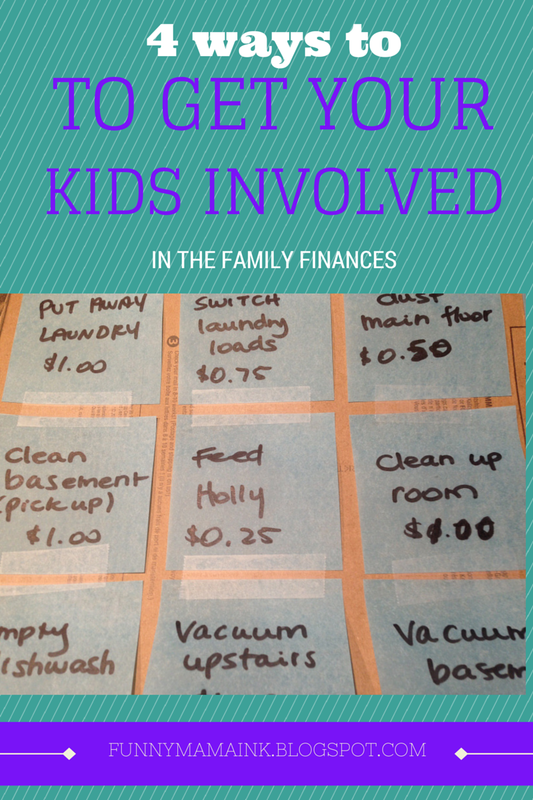 Here are 5 ways to get your kids involved in the family finances. I actually just had a detailed discussion with my 8-year-old this morning, while we were lying in my bed, about how our financial plan is laid out. As I've said 40 times already, we're following The Total Money Makeover: Classic Edition: A Proven Plan for Financial Fitness. This plan is laid out so you are following 7 baby steps to get to your goal. We are currently on step #2, PAYING OFF YOUR DEBT. Our daughter was saying how much she wants to go on a Disney Cruise. I said once we pay off the money we owe, we will start saving for some fun activities like a cruise, but for now, our focus is to pay off what we owe. I also told her we need to save money for retirement. She couldn't understand why we needed to worry about retirement when we are still young. I told her we need close to a million dollars to retire comfortably. She was blown away! But at least now she understands why we need to pay things off and save. I don't have an allowance set up for my little guy - he just doesn't quite get it yet. But our 8-year-old is old enough and we have set up a cool system based on chores. I got the idea from Pinterest. We used to pay her every week based on her list of chores but it didn't work well for us. I like that she can do a chore and quickly see the payoff. Now, she doesn't get the money right away. After she does a chore, we put it into her chore jar. At the end of the week, she gets her money. Now that our daughter has money from an allowance every week, we want to teach her how to save and give, not just spend. So we have three envelopes for her: Spend, Save, Give. This teaches her the importance of putting money aside to save for bigger items, but it also teaches her to be grateful and to share her blessings with others. 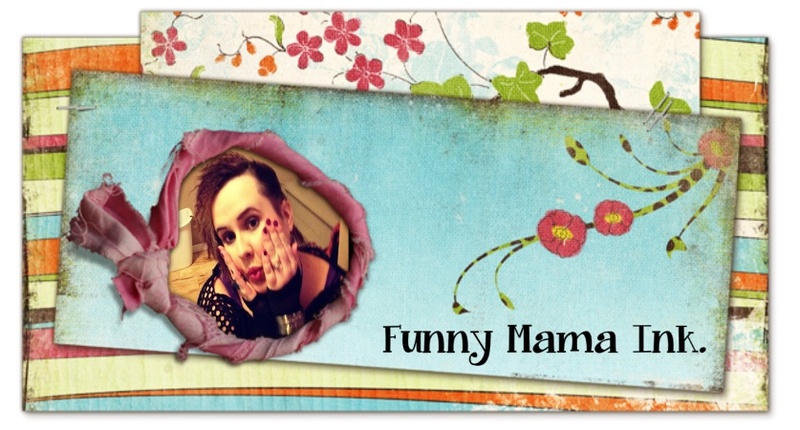 Some people think vision boards are fluffy, or that you just make them, sit back, and wait for your dreams to unfold. That's not the idea at all. A vision board is like a road map to achieving your goals. I've had a few vision boards over the years, and while some of the goals didn't occur until a few years later, some of them came true in eery ways. (I'll discuss vision boards in depth in an upcoming post). So I challenge you to sit down with your kids, grab a stack of magazines and start planning your family's vision for the future. Put it up where every one can see it and work together to reach those goals. I do truly believe that if you see your dreams in front of you, they will unfold if you work towards them. Thoughts become things. How do you talk to your kids about money? Do they have allowances? Do they know how to save? I'd love to get your feedback!